Instantly get more retail clothing space! 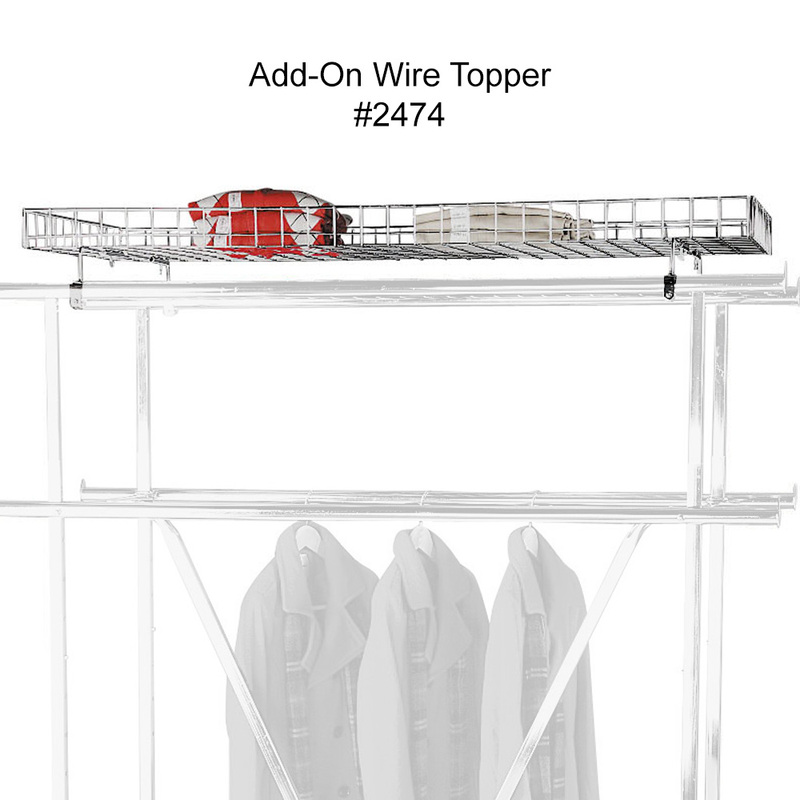 Add a wire basket to the top of your Double Rail Apparel Rack to sell accessories. Our Double Rail Apparel Rack has an extra V brace to keep the rack sturdy, sold separately. Search item 2475. Extender Rails attaches 2 racks together making it 60 in long. (#2477-set of 2). 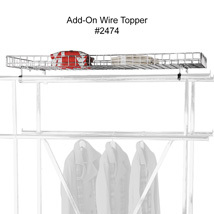 A Wire Topper (#2474) for extra selling space- 22 in. W x 3 in. D x 54 1/2 in. H. Extra Hangrail (# 2476) to increase clothing rack capacity. For additional offerings, we invite you to take the opportunity to peruse our complete selection of retail clothing racks for sale at Specialty Store Services today.